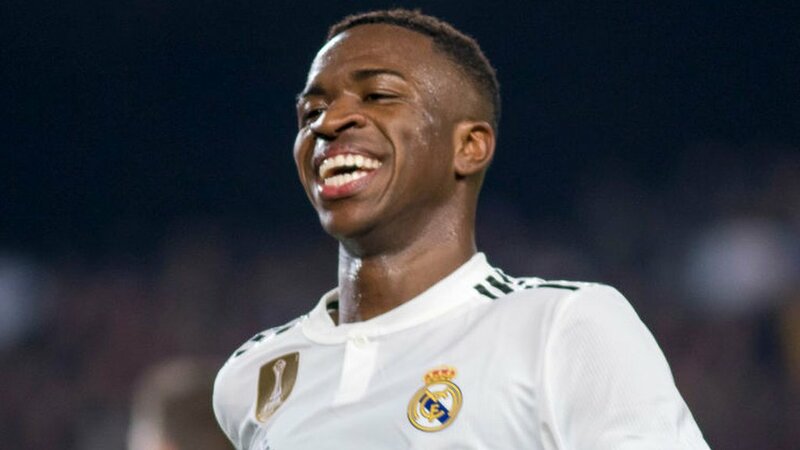 Real Madrid forward Vinicius Junior is expected to start in Wednesday’s Champions League last-16 first leg tie against Ajax on Wednesday. The 18-year-old Brazilian has started the last two games, relegating Gareth Bale to the bench. “His adaptation has been very fast,” manager Santiago Solari said. Solari could be set to field the same starting 11 which beat Atletico Madrid at the weekend, leaving no room for Bale, despite the Wales international scoring his 100th goal for the club. They are without Jesus Vallejo and Luca Zidane who are still sidelined with hamstring problems, while Marcos Llorente is out with a groin injury and Isco has not recovered from a back and neck issue. Ajax are likely to start with top-scorer Dusan Tadic, who has scored 22 times in all competitions so far this season, with 11 of those goals coming in his last 12 games. The Dutch side, who are second in the Eredivise, have lost two of their last three league games, including a humiliating 6-2 defeat to Feyenoord. Matthijs de Ligt, 19, and Barcelona-bound Frenkie de Jong are also fit to play in the club’s fist Champions League knockout game in 13 years. Following Ajax’s 1-0 loss to Heracles on Saturday, de Ligt said: “We cannot afford to play as we did against Heracles. Madrid are chasing their fourth consecutive Champions League title, with captain Sergio Ramos playing in all of them. The 32-year-old Spain defender is expected to lead his side out against Ajax in what will be his 600th appearance, seeing him move just one game behind club legends Fernando Hierro and Paco Gento in the all-time appearance list at Madrid, and fourth behind Manolo Sanchis (710), Iker Casillas (725) and Raul Gonzalez (741). Ramos, who also skippers his country, has lifted 20 trophies during his 19 years at the Bernabau, after arriving in 2005 for 27 million euros (£23m), which remains a record fee for a Spanish teenager. Solari said of the centre-back: “He has been and remains a fantastic captain. Ten of Ajax’s 11 goals in this season’s Champions League have been scored in the second half (91%). Meanwhile, 80% of goals conceded by the Dutch side have come from a set-piece (4 out of 5).